As I write this we’re in the middle of a heatwave in the UK, so I’m not too upset that I have to wait until the end of September for my holiday. It was back in chilly March that I decided I wanted to go somewhere a bit further afield this year and eventually we settled on Bali. While there’s still two months to go (yes, I’m on countdown) now’s the time to pick up holiday essentials before the autumn stock hits the shops. Here I’ve compiled my ultimate beach holiday wish list. Above: A sunshine break is the perfect excuse to pick up a new pair of sunglasses. These oversized ruby red glasses from & Other Stories will take you from the beach to the bar in style and will also work for sunny autumnal days come October. I love the vivid cobalt shade of this classic bikini, which proves that colourful swimwear doesn’t have to be garish. A bright beach towel with a playful print adds to the holiday vibe at the beach. Throw in a stylish hat, such as this classic Panama number, some sun cream and you’re set for the day! 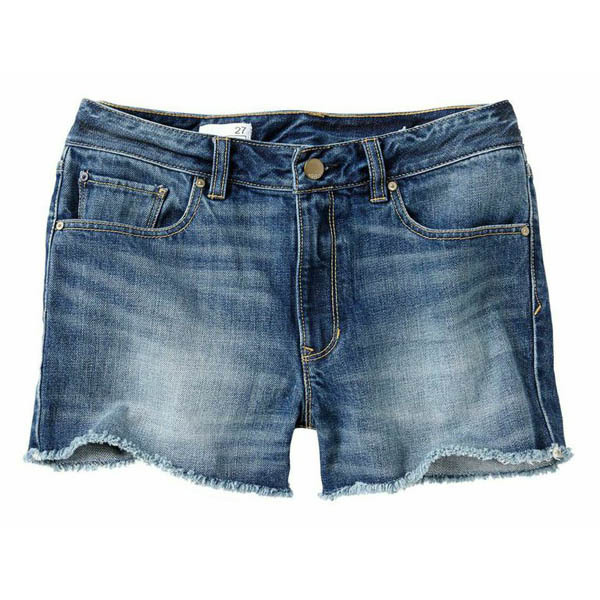 For me, a pair of denim shorts is the ultimate holiday staple. You can wear them during the day or dress them up in the evening. I’m a fan of Gap shorts and this raw edge denim pair caught my eye. I would definitely team this tank top with the shorts for a laidback holiday look. Aside from a couple of pairs of sandals I tend to be quite minimalist with holiday footwear. A classic pair of white trainers is my perfect travelling companion and I recently came across Spring Court, a French brand who has been making tennis shoes since 1936. The shoes, available from Toast, come in a variety of colourways but for me it has to be white. 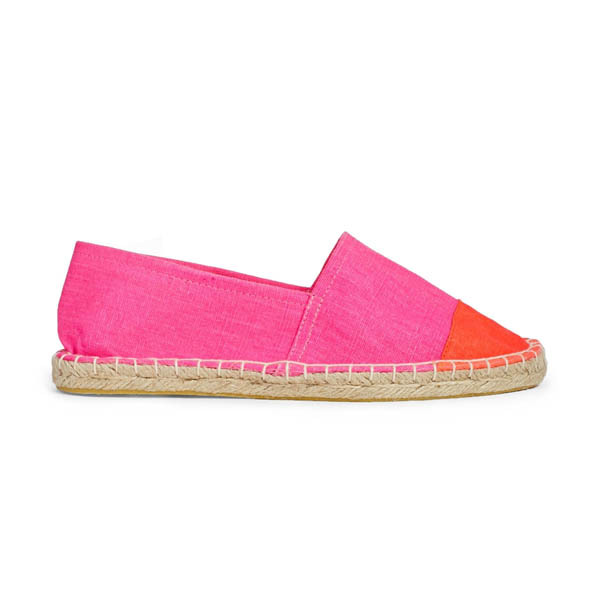 I do also like to inject a bit of fun into holiday footwear and these bright pink espadrilles certainly do the trick. I always take a roomy bag for my hand luggage so I can pick up any last minute purchases at the airport. This gold leather bag has just the right amount of holiday feel to it but I know it’s a purchase I’ll use once I’m home. Another carry on must-pack for long-haul flights is a soft scarf to keep you warm when the air con is cranked up. As we will be moving around the island and getting lots of boat trips, a bulky suitcase isn’t really practical. My rucksack from my gap year is still in existence but I thought it was time to give it an upgrade. 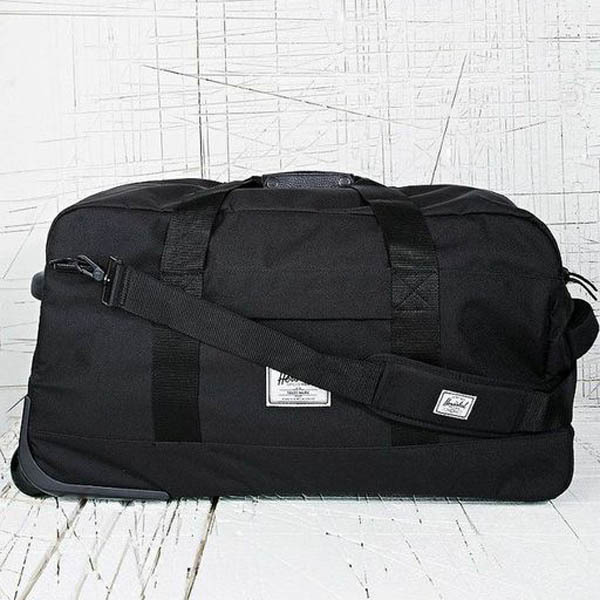 This parcel suitcase by Canadian brand Herschel is a happy medium and will last for years. For me, holiday make up is all about glowing skin and a slick of summery lipstick once the sun has gone down. This moisturising coral lipstick from Topshop is not too bright and is perfect for sun-parched lips. My final holiday purchase is Nuxe Huile Prodigieuse, which I’ve been eyeing up for years. It’s bit a bit of an indulgence but it gives your skin a lovely summer glow and smells divine.